Rescue teams are doing an amazing job rescuing the horses and livestock stranded in the Hurricane Harvey floods. The aftermath of this hurricane may be even scarier than the hurricane itself. 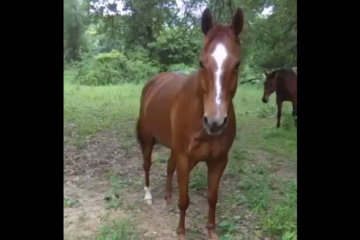 Horses that stand in water for days can suffer massive dermal damage. River Rot can develop much faster than you expect. 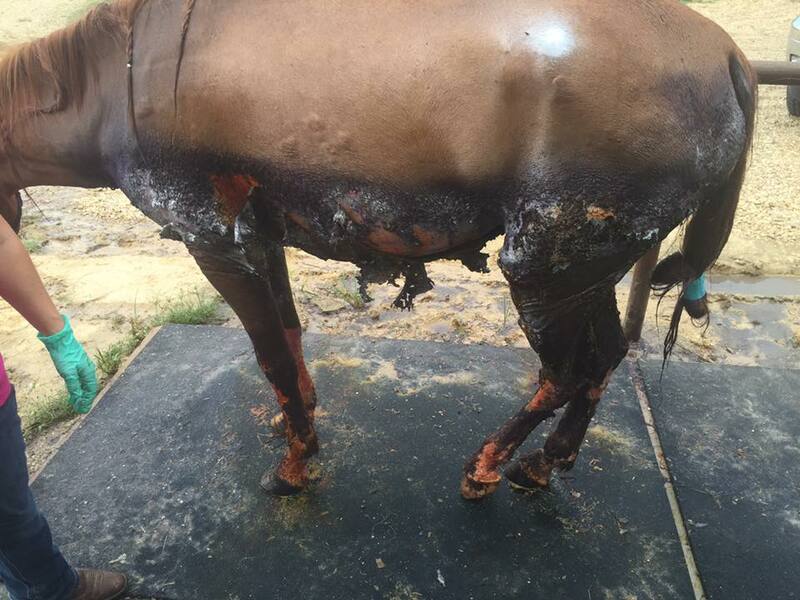 Horses that have been left to fend for themselves may be in for a long and painful journey. 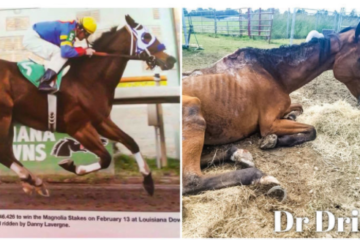 Double Diamond Equine – Veterinary Services posted the photos and video below. They are from the 2016 Louisiana Floods. 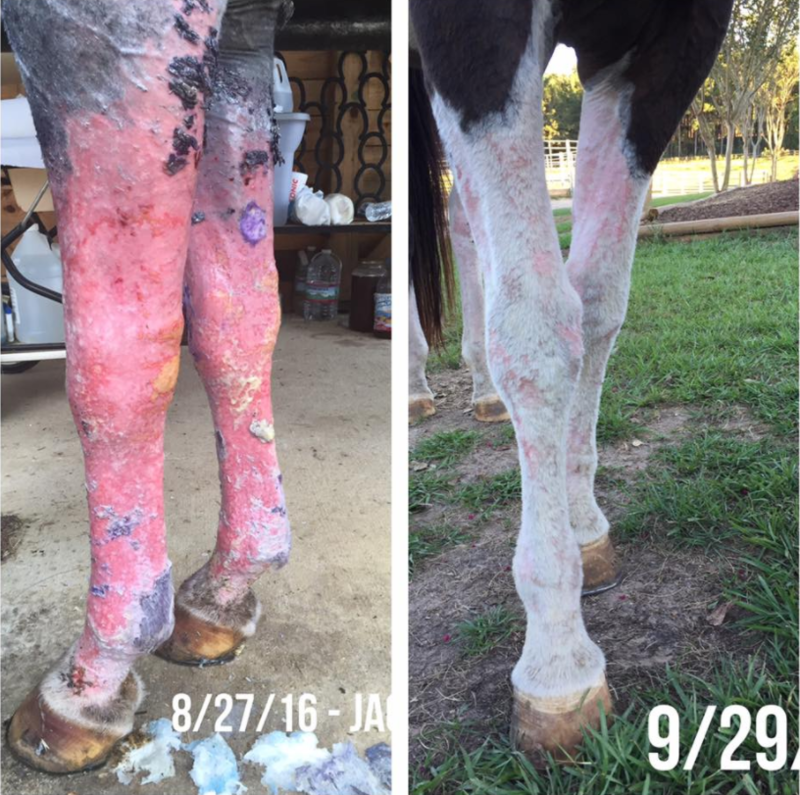 These horses received the proper medical attention and we can all learn from it. Double Diamond Equine -Veterinary Services – Just amazing. One month apart- who knew all of the hair would grow back! Please continue to check on horses affected by the floods and be aware that this can happen. 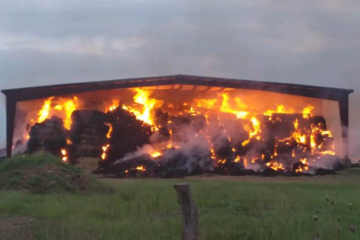 They may look fine at first, but they will need to be monitored. We are praying for Texas and all of the victims of Hurricane Harvey. Share this on Facebook if you are too! 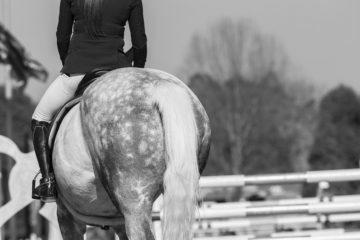 Horse Show Mornings – This Is What We Live For!